Mosque Power – Wake Up! Wake Up! Political speech from the pulpit is not permitted by The US Federal Government from non-profit Houses of Worship. They prefer the leaders stick to the script, or their Scripture. There is an allowance if what is said clearly represents the individual and not the view of the worship center, as policy. The Mosque as teaching center wants its students to memorize the Quran in the ancient Arabic language in which it is written. Too often we learn Mosques are going beyond educating their students, additionally, on reading, writing, and arithmetic, to include the Quranic suggestions of the superiority of Muslims and the fight they have, the jihad, an internal as well as external struggle, against infidels. A Mosque is a public forum open to all, but there are private sessions open only to known Muslims. In private the practice of deception is taught. Resistance to others who proselytize is embedded in their thinking, noting that Sharia Law does not permit it. Yet the Quran encourages Muslims to go and make converts (by force if necessary – using Muhammad as the example). Is this brainwashing? Does it differ from that which is taught by other religions? God or Allah, is the Supreme Being, but a comparison of Allah to the Jewish or Christian God, and for the Christian to include Christ, is not part of the curriculum. It is taught that Christ is not divine. At the same time his virgin birth is accepted. Christ is ‘Isa.’ An Allah is not the father of Isa. He made it possible to be born of a Virgin, that is his power, but he is not the father. A disturbing article in Human Events[iii] titled, “Most U.S. Mosques Teach Violence”, (Read article) suggests Mosques in the USA are locations where hatred towards the West, as well as non-believers, is promoted. 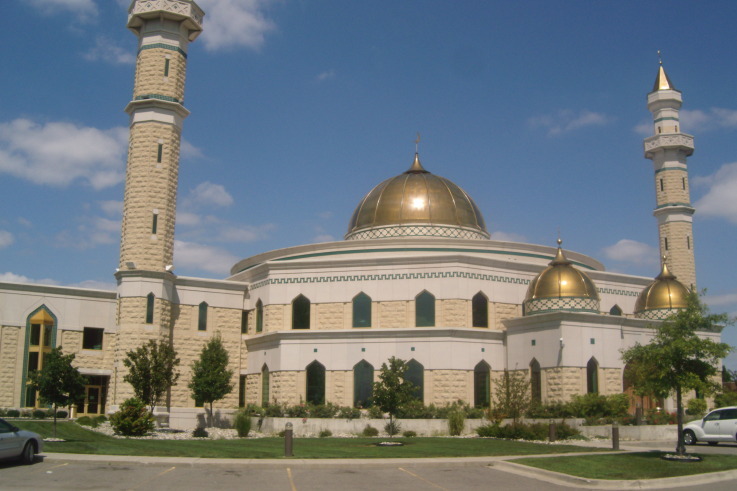 Quoting, “mosques in the U.S. aren’t quite holding potluck suppers and teaching civic pieties.” “This yet again contradicts the universally held assumption that U.S. mosques are completely benign institutions, in all respects equivalent to churches and synagogues.” Mosques teach an ideology, one reflective of the interpretation of the Quran and historical documents of Islam (Sunnahs and Hadiths), which over 50% of the time include violent jihadic practices, reflective of the fundamentalist attitude and ingrained conviction of their elder teacher and scholar-to-be-respected. Doubt of what is taught is not allowed. In many Muslim dominant cultures the Mosque is a center for intensive training in more extreme forms of jihad. Funding is provided those who carry out missions in the name of Allah, for the sake of growing Islam. In the USA several Mosques and their teachers have been arrested and convicted for gathering funds and siphoning them to Al Qaeda, or AQ affiliates, to be used in their geopolitical efforts or supporting and housing home grown terrorists. Mosques in Ohio, Florida, Illinois, Massachusetts, Virginia and others have been exposed. From the WND Faith Website (read more) an article suggests, “Any mosque advocating jihad or any aspects of Shariah that conflict with constitutional freedoms and protections should be closed”, quoting the Executive Director of AFDI (American Freedom Defense Initiative). America is a target to terrorists with Islamist fundamentalist beliefs imbedded in their psyche. As the target if successful (as with 911) recognition to these forces of evil enhances their stature in their Muslim communities. They are thus to be feared. Credibility, as such, enables them to further establish shadow governments to enforce Sharia Law. They become their own police force. Al Qaeda is a primary example. Muslim Governments having pockets of extremists operating separately in their own model Islamic Cities are often at odds in dealing with this subversive fundamentalist Islamist cadre in their midst. This is a problem in Iraq. From The Clarion Project[iv] (website) (Visit), “A large majority of mosques in the United States are led by Wahhabi clerics. Wahhabism is an extreme brand of Islam practiced dominantly in Saudi Arabia. According to Muslim estimates, up to 80 percent of mosques in the U.S. are owned, operated and led by Wahhabis.” This is disturbing knowing the brand of Islam which is Wahhabism and the practice of Sharia Law in Saudi Arabia reflected in the teaching within these centers. America, our Federal Government, International Governments, such as in the UK, needs to see these Mosques for what they are, what they represent and potentially what they mean to the destruction of life in free cultures. Obama has taken a back seat to having America on the scene in areas where Islam is growing, not just in the Middle East, but here in the USA as well. He will not even use the word ‘terrorist’ when referring to the 911 attack contingent. A Mosque is not just a House of Worship bringing people to God. It is the base of operations for spreading the ideology of Islam and training militant voices to oppose anything threatening to their ideals, their teaching and their practices. Hatred is taught. Know this. Where hate laws exist the character of the education of Muslims must be understood. In free societies it must be monitored to insure the constitutional elements of the free society are not compromised by the dictates, demands, and subversive practices of Islamists. A Mosque is as a battery fully charged ready to ignite the full power of the vehicle of Islam, but more as a bulldozer prepared to plow through its local fields of freedom and tolerance to insure the garden of Muhammad is the only one planted. Houses of Worship should teach LOVE of God and of Neighbor. If Salvation is a true goal then know there is but one way. Only those righteous in God’s eyes will find the door to his Kingdom open when they arrive. Total forgiveness guarantees entry. Only Christ, God incarnate, made that possible out of love for everyone. But beware that at your last breath if a heart for Christ as Savior is lacking, so too is the means to find a home eternal with Him.